"I was lost for words, I have nothing to say but amazing!" My trek guide was too fast making me left behind. But he already stopped walking upon seeing a very small waterfall, yet beautiful. I asked myself, is this the result of my 6-hour land trip and 40-minute trek? Yes, he just stopped and I thought this is the end of the trek because for the past minutes, my guide trekked without pausing. 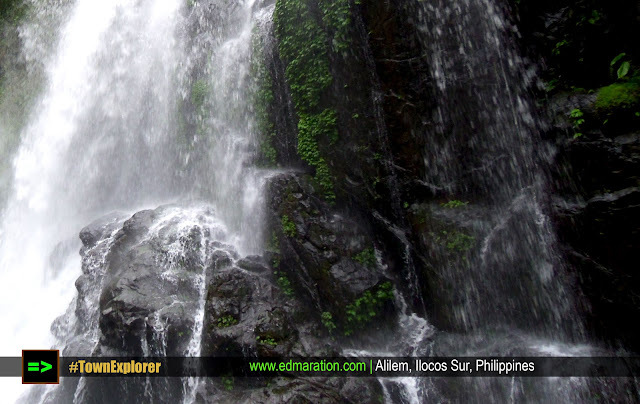 Balay Anito Falls in Alilem, Ilocos Sur was just hiding behind. Linger, there is a huge rock blocking our way. But I believe there must be something surprising out there... behind that rock. Great! My guide didn't really stop the trek and it was not yet our final destination. He was just looking for a better way to go to Balay Anito Falls hiding behind. He walked at the side of the rocks, slippery, wet, no real trail as such. He wasn't calling me, he just continued. 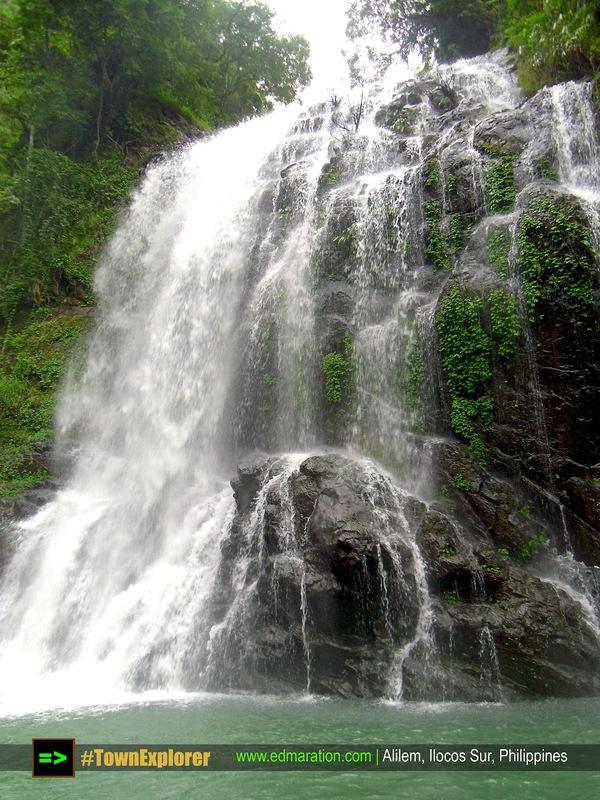 I was busy taking photos because I thought the small waterfall I am seeing is already the Balay Anito Falls on which I have to reach riding on a motorcycle and trekking in barefoot. My guide was gone, so I decided to follow where he is going. Suddenly, I thought it was raining, but no, I realized it was not. As I am going closer to the source of that loud sound of gushing water, sprinkles of water kept coming. It was cold, it was refreshing, it feels like rain! Finally saw the waterfalls! Ahhhh! I shouted joyously... "ang gondohhhh!" I was just standing speechless aside from the fact that I shouted a while back with glee. Wow!!! The waterfalls cascade vertically into one huge rock then drop into another rock below making it so exciting and beautiful! The pool below remains unrested. It was continuously moving as the waterfalls consistently pour out the blessing of freshwater given by nature... by God. Now I am confident to say, the trip is "all worth it!" My eyes bulged wide open. Around the waterfalls is a magnificent view. The towering verdant mountains were just refreshing. It looked like to be a natural wall, tall rocks, all wet, continuously pouring fresh highland springs. For that 40-minute jungle trek, on which I slipped 3 times, almost bumped my head to rocks, almost slipped directly to the cliff and trekked to some parts of the trail barefooted because I really had to, this natural masterpiece made me forget all the efforts and misadventures. 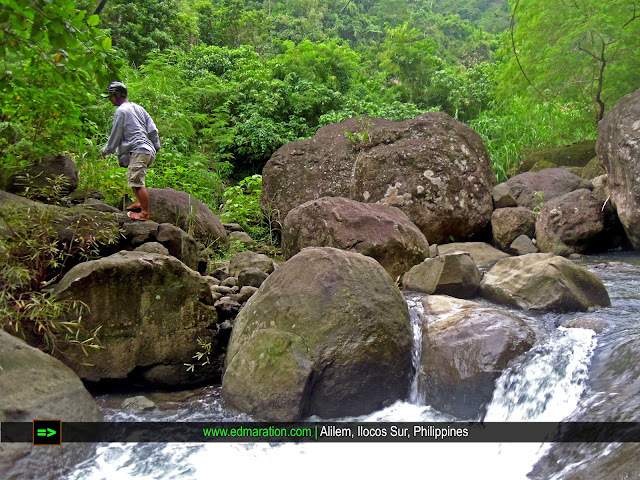 No regrets, I have finally seen Balay Anito Falls in the town of Alilem... and Alilem is my 28th town in Ilocos Sur. 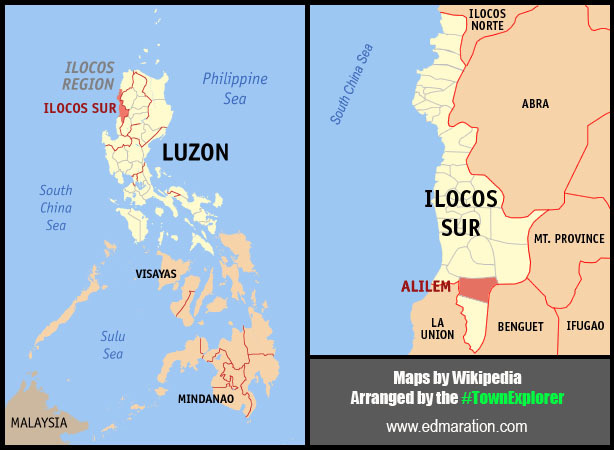 It is making me closer to the goal of exploring the 34 towns/cities of Ilocos Sur and I have 6 more left to see after seeing this hidden natural wonder of Alilem town. With Kuya Royel, my trek guide. I was lost for words, I have nothing to say but amazing! Absolutely doable for 1 day! 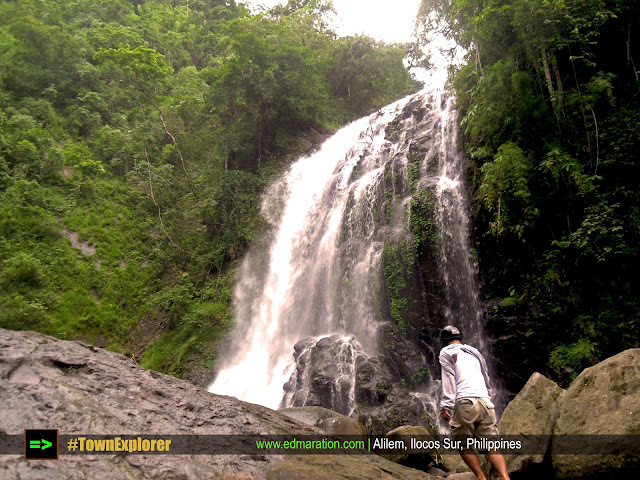 Travel Tips and Guide | How to go to Balay Anito Falls of Alilem, Ilocos Sur? 1. (a) From Manila, take a northbound bus going to Laoag. (b) From San Fernando City, La Union, take any Vigan-bound PUV or bus. (c) From Vigan or Laoag, take a Manila-bound bus. 2. Drop at Sudipen Public Market in La Union. 3. From Sudipen Public Market, take either a motorcycle or a jeep. Jeep ride is way cheaper but time-consuming because you have to wait for other passengers. Motorcycle ride is more thrilling since you'll have the chance to enjoy the view. 4. Motorcycle ride costs 120 pesos (solo one way) from Sudipen Public Market going to the starting point of the trek, 240 pesos (vice versa). The motorcycle can accommodate up to 3, the more, the cheaper since you have to share for the fare. 5. 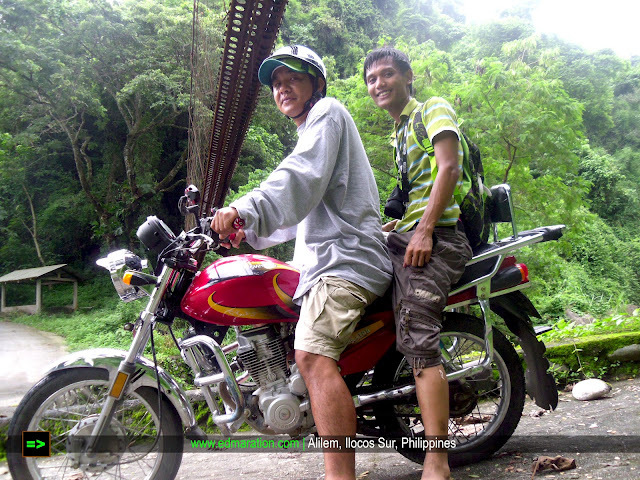 I advice you to hire a motorcycle driver that knows how to go to the falls and is willing to guide you. Your driver may ask for additional tip as guide so just prepare, but for me, I wasn't given additional charge. Look for Kuya Royel, he was my guide. 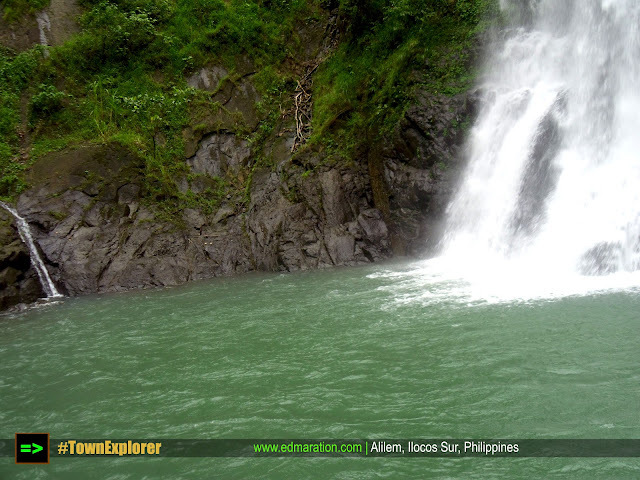 If you are traveling to Ilocos or La Union, you can make Balay Anito Falls as a side trip. Ganda ng wall nya! And those mini falls beside are just awesome! sarap mag long exposure! @sir Ding! Correct, yan din ang naiisip ko noong time na yun kaso hindi kaya ng powers ng point and shoot ko ang long exposure. Hahaah..